Integrated Print Solutions, the publisher of OnePrint, specializes in Legacy to Enterprise Integration. Their AFP/IPDS printing solutions provide you with an incredibly flexible growth path. You can support anywhere from a single printer to an almost unlimited number of printers. Mainframe and AS/400 host printing to any LAN printers (laser and impact printers). OnePrint enables networked printers the ability to print Legacy documents. With the introduction of the internet OnePrint Solution (iOPS), you can now print your AFP/IPDS jobs to any printer, any place and any time. You can use inexpensive network attached printers to accomplish the same AFP/IPDS you are doing on your legacy Twinax and coax IPDS printers. Whether it's one printer, or a hundred printers, OnePrint will be able to handle all your AFP/IPDS printing jobs. Click on the solution below that will best fit your needs. 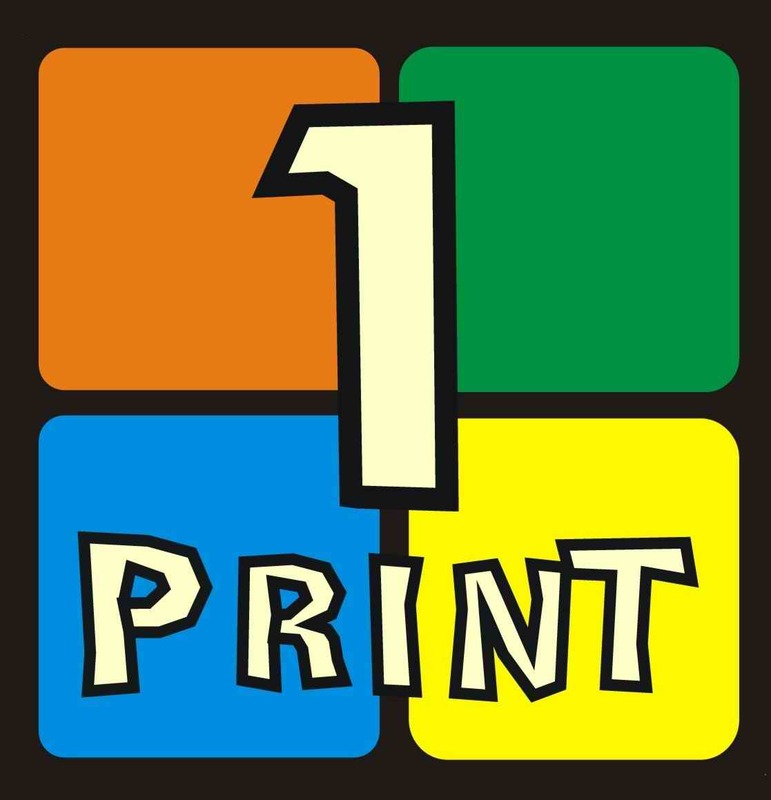 OnePrint G2 for Windows� is the second generation of the powerful and versatile server-based print management platform that enables Mainframe and/or Midrange print job distribution over TCP/IP to any printer in a Windows� environment. (see Workflow Diagram). Mainframe and iSeries (AS/400) host printing to LAN attached LaserJets, DeskJets and Impact devices. The OnePrint ServerExpress enables up to 128 networked printers the ability to print Legacy forms and reports generated by the Host system (see Workflow Diagram). Single-user solution running on any Windows (95,98,2000,NT, and XP) platform. The OnePrint ClientExpress enables Mainframe and iSeries (AS/400) host printing to any available pre-difined Windows printer. 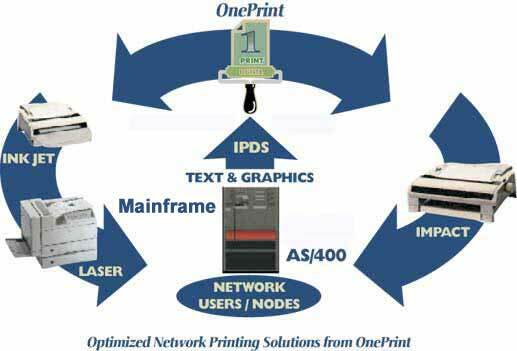 internet OnePrint Solution (iOPS) allows remote users to print any iSeries document to any printer, any time, any place.